No need to rest your garden in winter? No need for crop rotation? Your garden virtually looks after itself? PLUS it regenerates itself year after year, all by itself? No pests in your vegetable patch? No digging your vegetable garden? Your vegetable patch needs very little water? Oh! yes, it is true. The Food4Wealth’s special planting arrangement mimics nature on the same principle as one finds in a forest. The forest does not plough, nor does it burn. Where the leaves and branches fall, that is where they lie. And in the carpet that forms in the forest, aerobic and anaerobic microbes set to work. Nature has had these things under control for millions of years. It’s only humans who have made things more complicated. so the vegetable garden actually runs all by itself. because the Food4Wealth vegetable plot is a natural ecosystem. Regular harvesting maintains the ideal vegetation balance required to run the garden like a natural ecosystem. It’s the ultimate win-win situation. Harvesting is good for people, but it’s also good for the garden. into a method that is reliable and efficient. Until now this has never been achieved. The Food4Wealth method naturally combines all of these factors without any effort. Most of us don’t have much time to spend in the garden. Jonathan White only invests around eight hours per year to growing his food, and although he lives on a small farm, he only uses a space of around 6m x 6m. That’s an area that could fit into many suburban backyards several times over. The most wonderful thing about this method is that he knows he can ignore his vegetable garden for months and it won’t miss a beat. So, if you believe growing food is only for tough, bearded warriors with a lot of time – think again. ECOLOGICAL gardening is JUST the thing for YOU. I would never have believed that Guinea fowl could be useful around vegetable gardens. Then in June 2012 I saw them “in the flesh” for the first time – and they were disciplining a recalcitrant member of their posse. This set off a discussion on vegetable gardening and pest control, and soon Mary was telling us that the Johannesburg Zoo keeps Guinea fowl to reduce the rat population and insects. I was fascinated by this snippet. Rats can play havoc with your vegetable garden. I know that lemon mint repels rats. But this was the first time I had heard that Guinea fowl kill them. Conversation turned to stopping snails in their tracks with coffee grounds and crushed eggshells, only to learn that Mary, having worked at the Johannesburg Zoo for 26 years, collected vegetable devouring snails from her garden and put them in a tub in her fridge freezer! As soon as she had a goodly amount, out came the tub of snails which she took to feed the birds at the zoo. You will be pleased to know that this bird is very useful in your garden. It seldom, if ever, bothers your vegetables or flowers; living instead on insects and grasses. They control deer ticks, wood ticks, grasshoppers, box elder bugs, flies crickets, and all other insects. Apart from eating mice and small rats, their noisy call will actually discourage rodents. So, give it a thought – if you are struggling to control pests and insects in and around where you are growing vegetables, get yourself a posse of Guinea fowl. You can actually train them to come when you call. And if you have a problem with bees, hornets or wasps, all you have to do is show it where the insects congregate, and you’ll be able to move around your garden without fear of being stung – the Guinea fowl will do the rest. A wonderful addition to your vegetable garden, don’t you think? WHAT WILL YOU GET WHEN YOU PURCHASE THE FOOD4WEALTH eBOOK AND VIDEO PACKAGE? It is extremely easy to read and easy to understand. The Food4Wealth model will show you how to setup your own organic food garden completely. You will be taken through the entire process of growing your own vegetables in in a very small amount of space – for just a few hours effort. and 60 minutes of videos. email support with all replies sent within 24 hours. FREE REPORT: “What is ecological gardening?” click here. WHAT IS “FARMING GOD’S WAY”? Farming God’s Way, as the middle word attests, is a farming model unashamedly based on biblical as well as practical principles, like no other. It overturns the idea that one has to plough the land and burn the old maize stalks and bean vines. On another level, the biblical training addresses the myths of poverty. 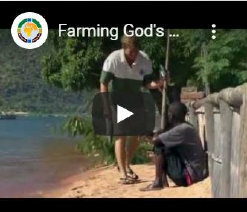 Those who have implemented Farming God’s Way confirm that, not only does Farming God’s Way work (agriculturally), but it has set them free to prosper. By addressing the consequences of ploughing and burning the fields, farmers mindsets are challenged to implement zero tillage, mulching, and composting. Click here to read more: BROCHURE. WHY BUY THE FOOD4WEALTH PRODUCT? Food4Wealth is the leading information product in a new market of DIY’ers, families and retirees seeking to grow their own food. and affordability around the world. Food4Wealth is a simple method explained in a way that any person can easily start growing their own food and take control of their food supply. Food4Wealth provides answers for a growing market of gardeners seeking new ways of solving the many problems they face in their gardens. Food4Wealth has helped hundreds of seasoned gardeners increase their yield and reduce their workload with fresh, innovative ideas. People are creating more demand for organically grown products as commercial agriculture continues to contribute to large-scale environmental degradation. Food4Wealth is the most environmentally and ecologically positive method of growing organic food. Jonathan White, an experienced, professional environmental scientist and gardener. Growing food has been his lifelong passion. With over 20 years’ experience and personal research, Jonathan has developed a comprehensive package of techniques to allow gardeners to enjoy growing food in their plots with higher yields and less work. His easy-to-understand style makes Food4Wealth perfect for beginners and advanced gardeners alike. He started his first vegetable garden in his parent’s backyard at the age of seven. Most of his childhood was spent bare-footed in the Australian bush, where a deep love of the natural environment was born. and later gained qualifications in Horticulture and Landscape Design. It is little wonder that he has developed a system of growing food that incorporates his two disciplines: horticulture and ecology. a number of books about in­door plants and interior landscaping and, currently teaches a range of horticulture, landscape design and environmental science courses with Lifestyle Learning Direct, a well-respected adult education facility. In fact, he wrote their Garden Design and Landscaping Course and has helped hundreds of students graduate in a range of professional courses. His main aim in life is to help people of all walks of life expe­rience the wonder and joy of living a simple, healthy life. He lives with his wife and children on a small farm surrounded by a menagerie of animals, and of course, a flourishing Food­4Wealth plot. Qualifications: Degree in Ecology & Natural Resources. Later, after I had shared with him about Farming God’s way while we sat under a thatched gazebo he kept repeating something to his retainer (assistant) in the Lunda dialect. I noticed there was a hint of tears in his eyes. His retainer turned to me and translated: “The Chief says he’s overwhelmed. He’s overwhelmed…overwhelmed! Apparently over a period of six years the Chief had promises from two guys who had offered to train his villagers in Farming God’s Way, but they had failed to follow through on their promises. Now here before him was an “old” lady who had come all the way from South Africa – whom he did not know – who was available and offering to do the job. A fall in February 2010 in which my collarbone and thumb broke meant I could not return in May 2010 to follow up on the training with Chief Kanyama’s villagers. This was particularly disheartening as the accident set the five-year oversight programme back a full year. But by July 2011 my passion (and the Lord’s) to settle in Mwinilunga could no longer be delayed, and by 15 December 2011 I was on my way, lock, stock and barrel (the saga is recounted in http://backthewaywecame.wordpress.com/). Sadly, all communication was lost between Chief Kanyama and myself between 2009 and 2011due to consistent cell phone and internet network failure, and miscommunication at other times, via an intermediary. It was therefore only in June 2012 that I learned of the “first in a lifetime” abundant harvests being reaped in Chief Kanyama’s Kingdom as a result of implementing the training they had received – Farming God’s Way . A staff member at Keepers International, a civil engineer working on a hydro project in Kanyama Kingdom, the District Commissioner and members of the Department of Agriculture in Mwinilunga were all equally amazed at the results of this training. This truly is a success story and validates the belief that Farming God’s Way is the way to go when training the poor. Not only that they may have food to eat, but they will learn to run their farms as a business to enable them to send their children to school, build homes for their families, afford medical treatment, and much, much more. “You should meet Chief Kanyama”, said my friend, Vincent when I told him about Farming God’s Way. “I’m sure he would want to hear about your program. But unfortunately, he’s already left the boma” [village]. What a pity, I thought. To train a chief and the poor in his village would be just the environment in which to showcase the effectiveness of the Farming God’s Way model of cropping. Disappointed that I had missed him I decided to take walk in the warm July sun, and directed my steps to the KwaKuwahi Lodge situated on the banks of the Lunga River. Later, on my return to the boma, while thirstily downing two orange Fanta drinks one after the other on the Lido Restaurant verandah , I noticed four men approaching as if to pass by. They looked like an interesting group so I called out to them, and we spent some time chatting awhile. Just as they were about to go on their way a black Pajero drew up at the steps of the Lido’s veranda. Out of the vehicle stepped a tall, well-built Zambian man dressed in an orange-white-and-black Hawaian-type shirt, black trousers, and wearing a black cowboy hat. “That’s Chief Kanyama”, whispered one of the four men, in hushed tones. Like a star-struck teenager I dashed up the stairs after him, and hearing my footsteps he turned to see who was behind him. “Are you Chief Kanyama?” I asked. “Yes,” he replied, hesitantly, a bit bemused. I quickly introduced myself to him and asked whether he would be available that day, as I would like to tell him about Farming God’s Way. And graciously he agreed to a 16h30 appointment. Later, after I had shared with him about Farming God’s way while we sat under a thatched gazebo he kept repeating something to his retainer (assistant) in the Lunda dialect (continue here). GROWING VEGETABLES – BLOOD AND BONE IN THE COMPOST? When I first heard of adding a blood and bone meal to add to one’s compost I mentally gagged at the thought of what it may do to the vegetables I wanted to grow? We’ve all heard at one time or another that blood can become contaminated. How then can it be dug into our compost? The health implications made me shudder. But I later learned that the blood is not used before it is dried, and the mixture of blood and bone is put through a steaming process to clean it. One can be assured then, that what you buy at the butchery is safe. I would, however, not recommend buying it from a butchery in a rural area where steaming facilities are not available. So there is no threat to one’s vegetable patch. Because of its nitrogen fixing properties and its calcium and phosphorous nutrients. blood and bone mix is excellent for mixing into compost which will later be added to the soil in your vegetable garden. I would recommend, however, that you first have the soil tested for nutrient content. You don’t’ want, for instance, to have too much, for instance, as it will affect your vegetables and they may even die off. The good news is – bone and blood m eliminates the need to buy fertilizer, and is probably cheaper. “Do you consider composting as just another way to dispose of unwanted vegetable waste, pruned branches, twigs, grass and leaves? Whilst this may be a valid solution to deal with rubbish, composting can be valuable option when used in the right way. “For instance, compost builds valuable nutrients that will feed the soil in which you grow vegetables that will in turn one day, feed you and your family. I only use compost on my vegetable gardens. Manage your vegetable garden using compost, and it will become an integral part of the whole food production system. Creating compost is a way to collect nutrients in one form – waste – to turn it into another form – food. “Most people throw away what is left over after preparing vegetables for a meal. In other words, they buy X amount of nutrients, take what they need for the moment, and discard the rest. That’s like throwing Dollars into the rubbish bin. To “raise capital” on the discarded parts of the vegetables, put this “capital” to work in your vegetable garden. That way the nutrients will be used again and again without any cost to you. “What a way to save money! Composting creates a nutrient cycle on our property. “We are part of that cycle because we consume the nutrients when they are, for a brief time, in a useful form. Then the discarded portion returns to the compost to slowly make their way into another useful form – then we consume them again. “This cycle can continue indefinitely. Of course, some nutrients you will never see again. But with diligence you will be surprised how much compost you can create to generate more nutrients than you can recycle. “My composting system is large because I have a few large vegetable gardens. I believe that the size of your vegetable garden should be determined by how much compost you can create, and not merely by the amount of space you have in your backyard. To read more, click on this link, COMPOSTING.